It's undeniable that most everyone absorbs information online on a daily basis, utilizing the convenient and easy access to the internet. There is seemingly an answer to everything in the world just a click away. Usually, the majority of us settle once we have an idea of what the answer is. By questioning the world around us, however, we’re learning constantly. We’re not settling for an easy way out. People often hold misconceptions regarding topics that we assume are just facts or parts of our reality, despite their potential falsity. The up and coming web to television series Adam Ruins Everything debunks common misconceptions, rumors, and myths. It carries on the same idea as the popular Mythbusters, shining a light on popular ideas and displaying the truth behind them. 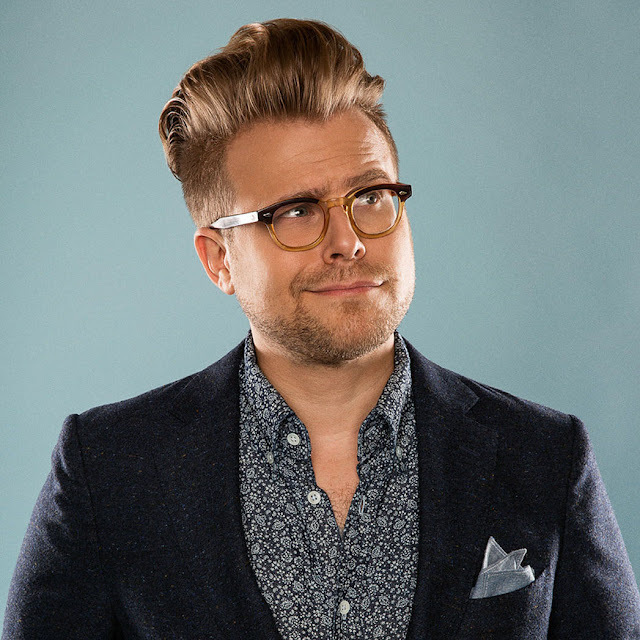 The host of Adam Ruins Everything, Adam Conover, is an icon of “Why?”. The innovative young man has been hosting Adam Ruins Everything for a little over a year now. You may recognize him from his show or the plethora of viral videos that he has taken part in throughout the years, whether it be with comedy group Olde English or his current position at College Humor. Adam Conover is an icon of curiosity due to his consistent challenging of current ideas and situations and the plentiful truths he reveals about them. 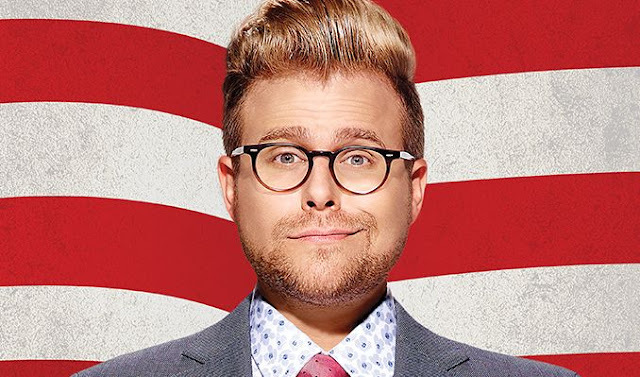 I was fortunate enough to speak with Adam Conover, who has racked up over 30 million views online for his infamous Adam Ruins Everything series. Adam shed some light on the soul of the show, the pros and cons of being a comedian, and the impact he has made. 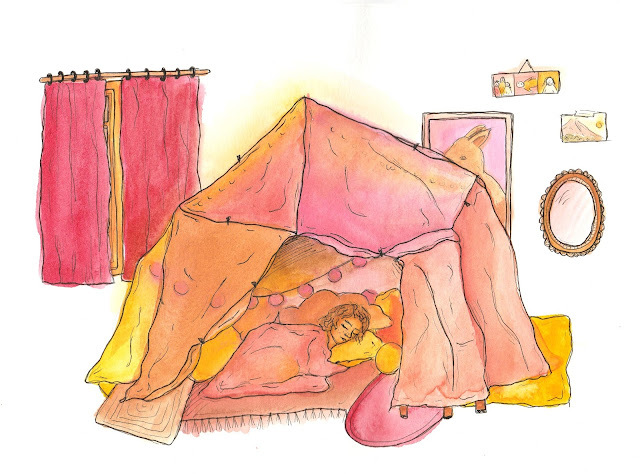 Illustrations by Daisy Acosta. 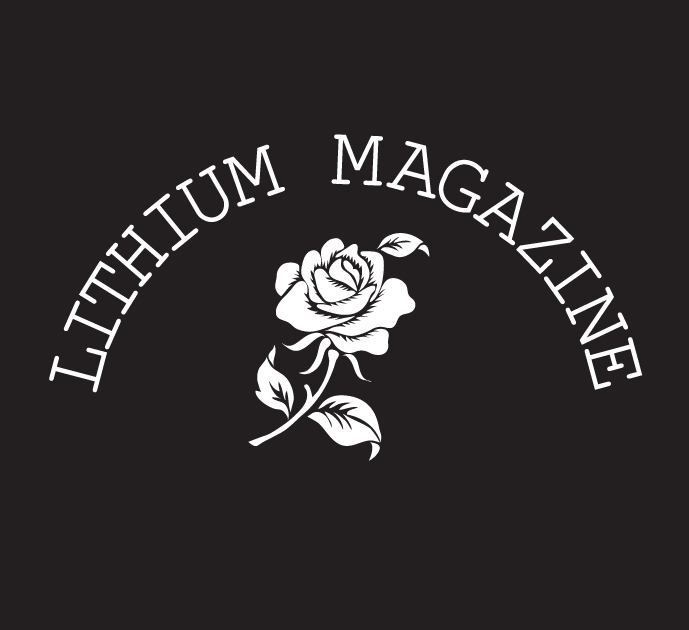 Lithium: In Adam Ruins Everything, your persona seemingly comes off as that of a know-it-all. Is this purely for comedic effects or do you think it reflects off your own personality? Adam: [It] definitely reflects off my personality, absolutely. I mean, the character is a slight exaggeration of how I am in real life or how I often felt throughout my life. So, the main dynamic between the characters and me, when I am [saying[ that stuff they don’t want to hear me say, that is how I felt my whole life as a kid and as a teenager. I know all these things and people would say: Adam, why are you bringing this up right now? It’s such a pain, we’re just trying to enjoy the hockey game. Or whatever it is that I’m talking over, you know, these guys really get hurt…I have people come up to me and say: I’m the Adam of my group of friends. It’s really wonderful. In addition to that, I really love that we make people feel less alone and it’s made me feel less alone about who I am. A lot of people think of me in the show, telling the audience this is the way things are, this is the great knowledge I have, I’m a know-it-all. But that’s not what the character of Adam is. Rather, I am an avatar of curiosity, right? Asking why do we do the things the way we do? Why is society this way? This is why we think we know that? Why do we think we know that? The constant self-undermining. I don’t want to be the guy who was right in every instance. I want to be the guy who figured out whether he was wrong about something. And hopefully [the one] who brought other people in. Adam sparked an interest in theater production when he graduated from Shoreham-Wading River High School, and this attraction further evolved when he enrolled in Bard College and became a member of Olde English, a comedic group. When asked about the pros and cons of being a comedian, it became clear that Adam is no stranger to the scene after over a decade of involvement. Adam: The best part is what you get from the crowd, it’s the best feeling possible. I think that is what drives you, that feeling. Having a whole crowd give you that social approval by giving you a big laugh. The worst part is when they don’t. You don’t get to turn away from that! If you bomb, you know it, you don’t get to say: Well, I’m still an artist, I know it. When you leave that crowd, you’re like: They didn’t laugh, I failed. But that sort of failure is also a great tool to help comedians get better…The audience is a tool for you. When they laugh, you know what you wrote is good, [and] when they don’t laugh, even when you do the joke five times, you just learned something about the difference between what’s funny and what isn’t. Working at CollegeHumor further puts Adam’s strengths in comedy to use. His focus primarily lies on producing quality content and prioritizing quality over quantity. Adam: College Humor really makes it a priority that the individual voice of comedy writers comes first, so whatever the writers think is funny goes. That's the main concern, rather than trying to get certain numbers of clicks or pleasing ad sales. The main focus is making what we comedy writers think is funny so that results in a really creative, fulfilling environment that produces shows like Adam Ruins Everything. Throughout Adam’s life, the two major figures that have influenced him are his long-time partner, Lisa Hanawalt, and comedian Jon Stewart. Adam: One is a figure in my comedic life, Jon Stewart. He has really inspired me. He really changed the way Americans saw comedy. Before him, people didn't believe that comedy could really have something vital to say about our country and the way it is organized and he made it clear that comedy could move the needle of culture and be influential. It’s possible to do real things in life that matter, and that was just endlessly inspiring to me. And I think what he did was the highest calling for any comedian. I’m not saying that people who do other work are bad. I’m just saying, for me, that’s my role model. Secondly, my other biggest inspiration is my partner, Lisa Hanawalt, who I’ve been with for close to a decade now. She is, if people don’t know . . . a cartoonist, an illustrator, and a visual artist that does incredible art. She also is a production designer and producer of Bojack Horseman, the Netflix show. She does all of the character design and background design, and she really inspires me because she is always trying to do, always pushing herself to create better and better art, and create more and more beautiful things. She doesn’t just draw illustration, [but] she started doing ceramics, pottery, she plays the piano, she does sculptures, [and] she never rests. [Lisa] is always pushing the boundaries of what she is interested in, so we’re always pushing each other to do more creative things and that’s why she inspires me. Adam Conover brings a fresh wave of comedy to the scene. With Adam, it isn’t just a bundle of genital jokes or laugh tracks being played in the background. 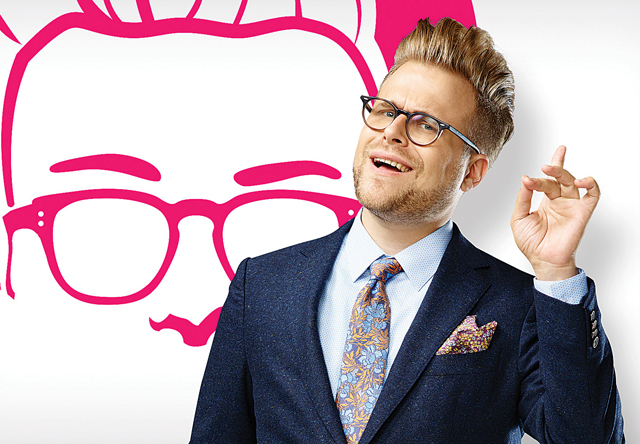 His show, Adam Ruins Everything, provides the power of knowing. It educates viewers on important issues while still providing entertainment. Just because we aren’t all in school doesn’t mean we should stop asking questions or stop asking why. I’d like to consider Adam as an individual that challenges the way things are. Rather, he challenges why we do those things. If we lacked people like Adam Conover, we would never evolve intellectually as a whole. Being curious is never a bad thing and neither is asking questions. At the end of the day, you’re receiving fuller knowledge than those who choose to settle. 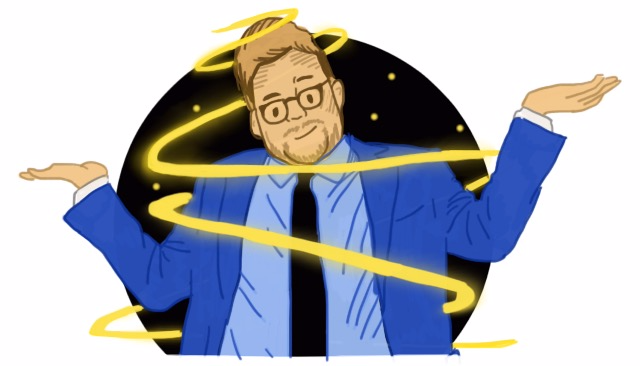 With a new season of Adam Ruins Everything around the corner, there is much more to come of Adam. And that is Adam Conover. The icon of curiosity. Check out Adam’s YouTube, Adam Ruins Everything, Twitter, and Instagram. Ah I love his show! I think this interview was formatted very comprehensively. His content is amazing, so pleased to hear that!